The course is addressed toward advanced players in order to help them become strong masters (2300 rating). The course consists of advanced chess lessons and exercises. 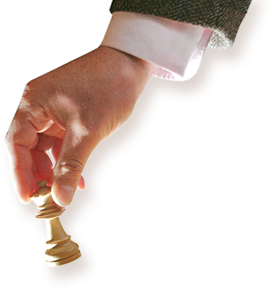 Our course is excellent for beginners, too, as they will fortunately learn chess the right way from the start. Beginners that study our course usually improve their chess from 1200 to over a 1800 rating before completing the full course. The course follows a structured program of study and improvement with a clear goal that allows our students to receive all the information a strong chess master should have in one year. See the course program. From the first month of the course, the student will learn how to think like a strong player, how to evaluate positions, how to make plans and other essential elements for improving their chess. In the next months, the student will study the main strategies followed by more and more advanced stages of preparation. The chess course is designed for students who assign 6-10 hours a week (or more) for chess studying. However, since you can study at your own pace, anyone can take the course. The course can be paused and resumed whenever the student wants. The advantage of a complete training package over books is that the student has everything organized for the long term, the lessons, the exercises, annotated games, quizzes, lessons on how to think in chess, board visualization, and more. Everything is in one place following a professional plan of study and training. The Grandmaster Package includes free teacher support and guidance. We will help you overcome any obstacle that may appear in your study.